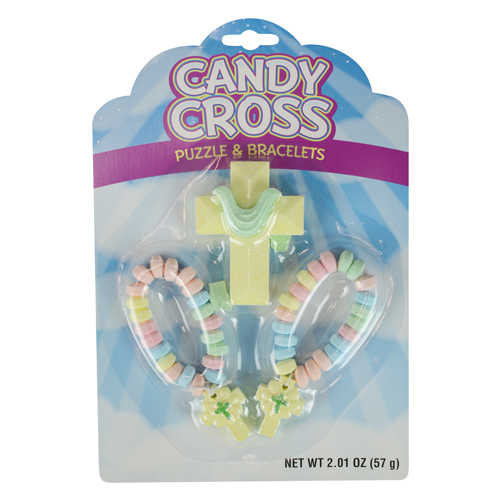 Stretchable Easter candy bracelets and cross puzzle. These sweet treats are perfect for boys and girls to eat and play with! 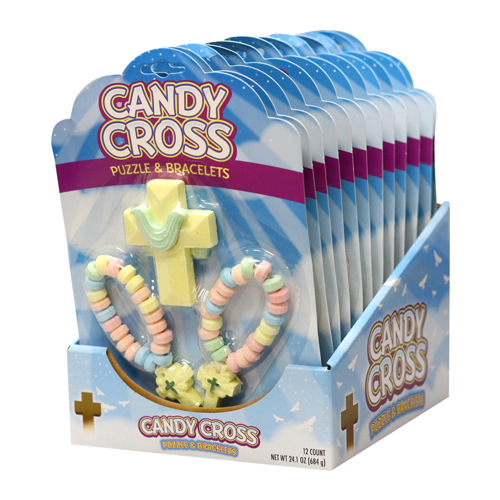 Each bracelet has a cross charm. Assorted fruit flavors.